mumbai weekend shoot traversed the tiny lanes of khotachiwadi in the inner-city today. originally inhabited by families of the east-indian communities, khotachiwadi is today prime-realty and susceptible to the likes of land sharks. only 28 of the 65 original houses now remain, and the recent years have witnessed increasing efforts to conserve what remains, spruce up the precinct and bring in tourists. the results seem to be paying off. though i didn't enter any of the houses, it was interesting to walk around and shoot. the set of photos is here on facebook and here on flickr. 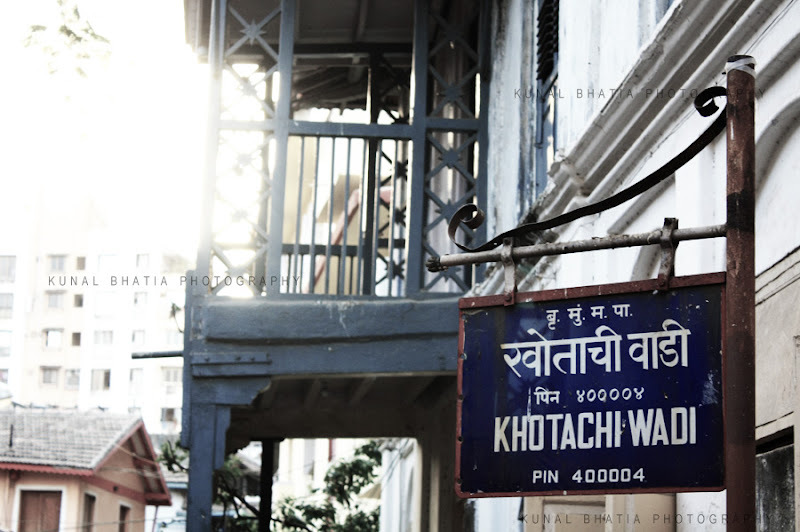 or, for more photos from this neighbourhood in this blog, hit up 'khotachi wadi' in the search box on the right.